Growing up, one of my favorite treats was an ice cold Orange Julius. Over the years, I learned to make a Homemade Orange Julius and I still make them on a regular basis during the summer, when the weather is hot and I need a cold beverage to cool me down. The recipe is easy to put different variations on if you have other types of juice in your kitchen. Almost any citrus juice will make a delicious version, as will many tropical fruits. 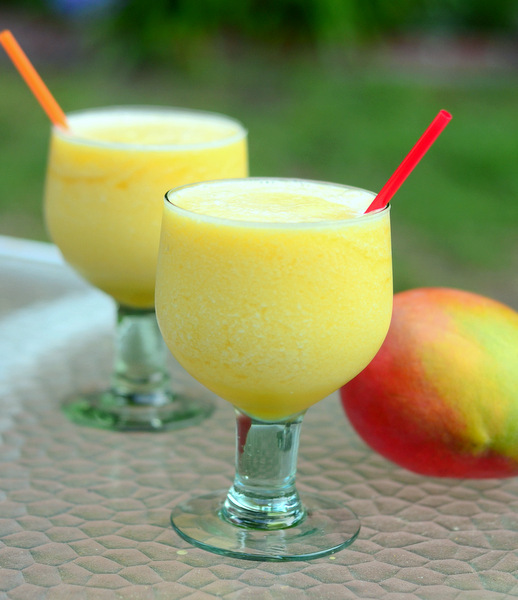 This Mango Julius was inspired by the wealth of mango goodies that I’ve been seeing around this summer – and if you’re a tropical fruit fan, this is sure to become a fast favorite. The drink starts out with pure mango juice. I actually found some recently at Trader Joe’s that contains only mango juice, not made from concentrate with with no additional sweeteners. Juices that have been reconstituted or are additionally sweetened can still be used, but they won’t have as much pure mango flavor. 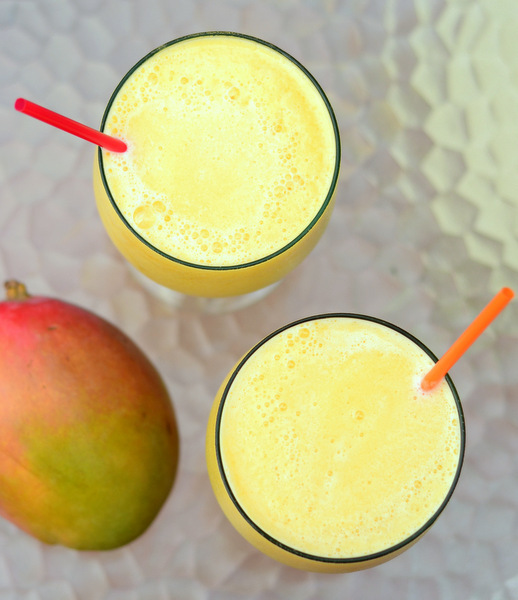 If you can’t find the juice, you can juice ripe mango or use a strained mango puree. The juice is combined with sugar, water, ice and an egg white, which gives the drink an unusually frothy consistency and sets it apart from other types of smoothies, the blended until smooth. 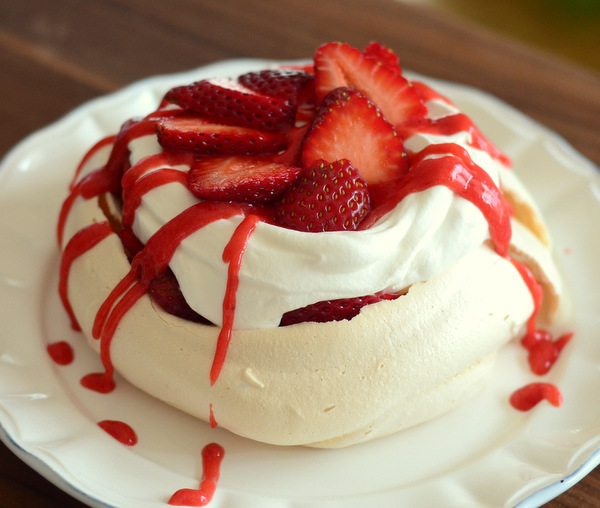 It’s very tropical, with just the right touch of sweetness and a wonderfully creamy consistency.